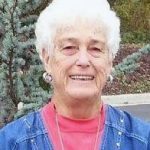 Carlene Marie Kruger Rinehart, 82, formerly of Fort Scott, more recently of Rusk, Texas, passed away at Christus Mother Frances Hospital in Tyler, Texas. She was born January 19, 1936 in Fort Scott, Kansas the daughter of Carl William and Mary Inez Shinn Kruger. She married Edward Cale Rinehart April 20, 1953 in Platt City, Missouri, he preceded her in death August 29, 2012. Carlene was a Sales Secretary serving Sears’, JC Penny’s, and Montgomery Ward’s totaling 50 years, and lived in Kansas, Florida and Hawaii during the decade of the 1950’s, in California during the 1960’s, back to Kansas during the 1970’s and Texas during the 1980’s and 1990’s. She returned to Fort Scott for a few years in the 2010’s but recently moved back to Texas to be near some of her children and grandchildren. Carlene was a member of the Grace Baptist Tabernacle while she lived in Fort Scott. She is survived by two daughters, Jeanann Sumner and husband, Greg of Elkhart, Texas and Carrie Baker and husband, Mike of Trinity, Texas, a son, Gregory Rinehart and wife Violet of Rusk, Texas, a brother, Gary Kruger and wife Carla of Montgomery, Texas. 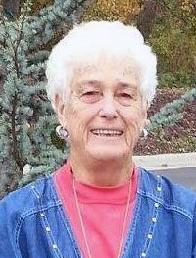 She was also blessed with an abundance of loving grandchildren and great grandchildren. In addition to her husband, Edward, she was preceded in death by her parents, Carl and Mary (Shinn) Kruger and a son, Eddie Rinehart. Funeral services for Carlene M. Rinehart will be at 11:00 am, Monday, September 17, 2018 at the Fort Scott National Cemetery #1 under the direction of the Konantz-Cheney Funeral Home with the Rev. Pastor Paul Rooks officiating. The family will receive friends from 9:30 am until 10:45 am on Monday, September 17, at the Konantz-Cheney Funeral Home before leaving for the Cemetery. The family suggests memorials to the Grace Baptist Tabernacle, donations may be left in the care of the Konantz-Cheney Funeral Home, 15 W. Wall St., P.O. Box 309, Fort Scott, Kansas 66701. Condolences may be submitted to the online guestbook at konantz-cheney.com.